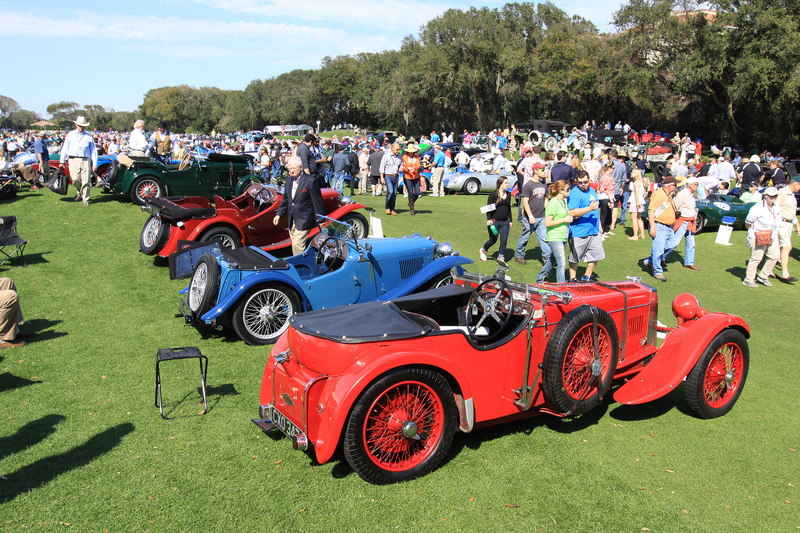 Heavyweights Gooding & Company, and RM Auctions were at Amelia Island to offer some of the worlds best cars. 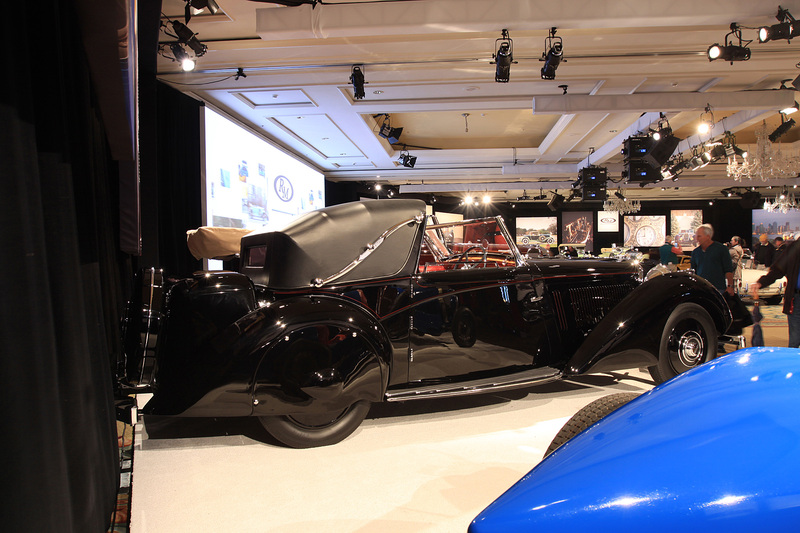 Each auction house sold about $30 million in cars each with a 10% buyers premium above the hammer price. 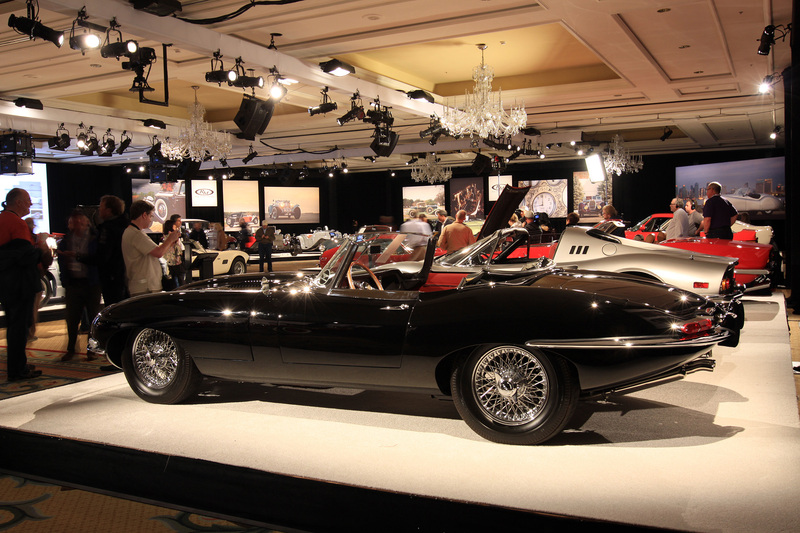 1961 Jaguar E-Type Series 1 3.8-Litre Roadster 875494 sold for $214,500 by RM Auctions. Matching-numbers example with only three owners from new. Recent comprehensive restoration to JCNA standards and original factory specifications. A superb example of a desirable early “flat-floor” E-Type Roadster. 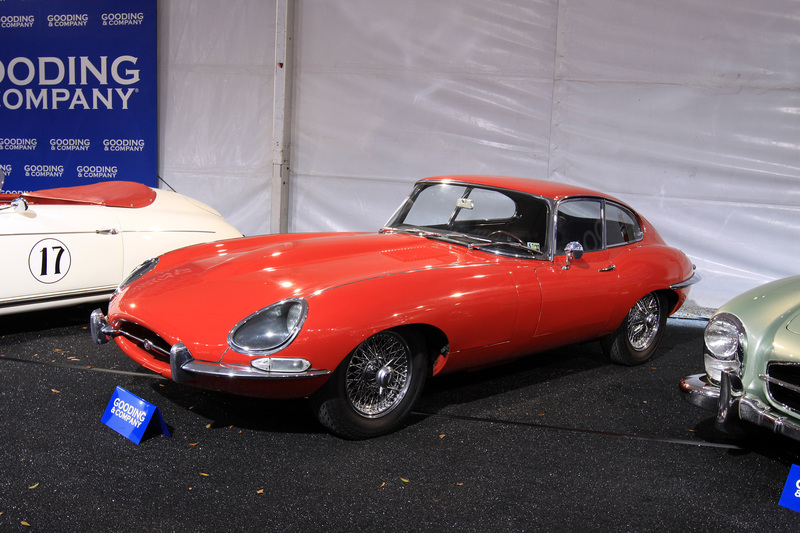 1966 Jaguar E-Type Series 1 4.2-Litre Coupe 1E33015 sold for $73,700 by Gooding & Company. All-Synchromesh Gearbox and 4.2-Litre Engine. Documented Matching-Numbers Example Throughout. Complete with Jaguar Heritage Trust Certificate. Two Owners from New ; Single Ownership Since 1978. Never Completely Restored and Very Well Preserved. Engine and Drivetrain Rebuilt 4,000 Miles Ago. 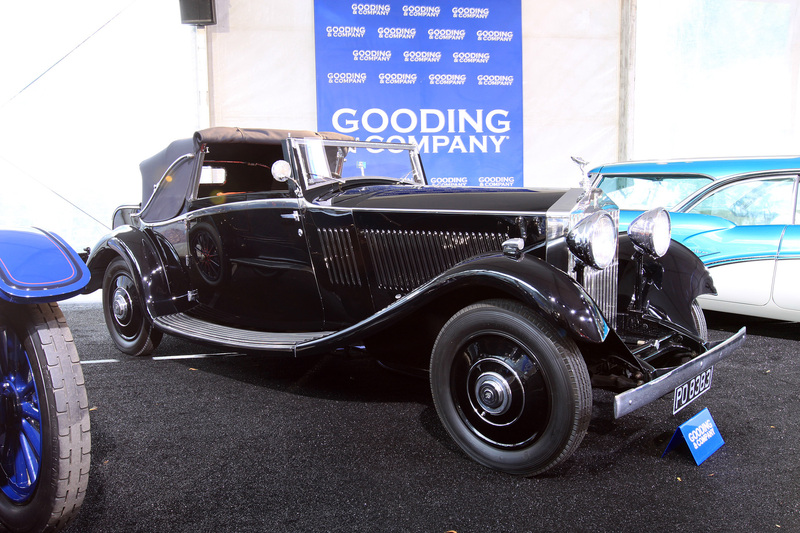 1933 Rolls-Royce 20/25 Barker & Co. Three-Position Drophead Coupe GTZ48 sold for $192,500 by Gooding & Company. One of the Most Elegant 20/25s. Stylish Three-Position Coachwork. Beautifully Preserved Original Interior. Comprehensively Serviced and Cosmetically Restored b P&A Wood. A Splendid Example of the Coachbuilt Rolls-Royce. 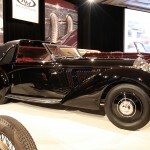 1936 Bentley 3½-Litre Windovers Sedanca Coupe B111FC – sold for $374,000 by RM Auctions. Offered from the estate of Charles “Chuck” Swimmer. One of the most beautiful Bentleys ever produced. Lightweight one-off coachwork. Ordered by its original owner for a Royal Automobile Club tour. 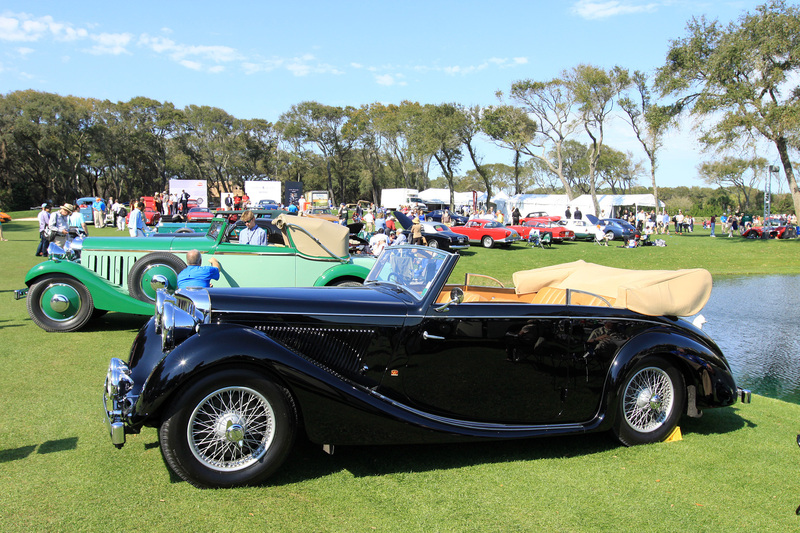 A 2003 Pebble Beach Concours d’Elegance award winner. Featured in most of the important Bentley reference texts. 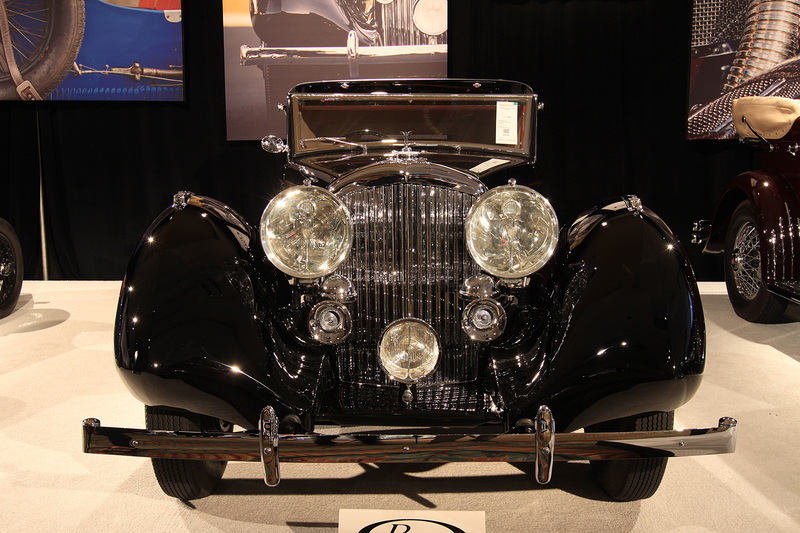 1938 SS 100 Jaguar 3½-Litre Roadster 39010 – sold for $451,000 by RM Auctions. 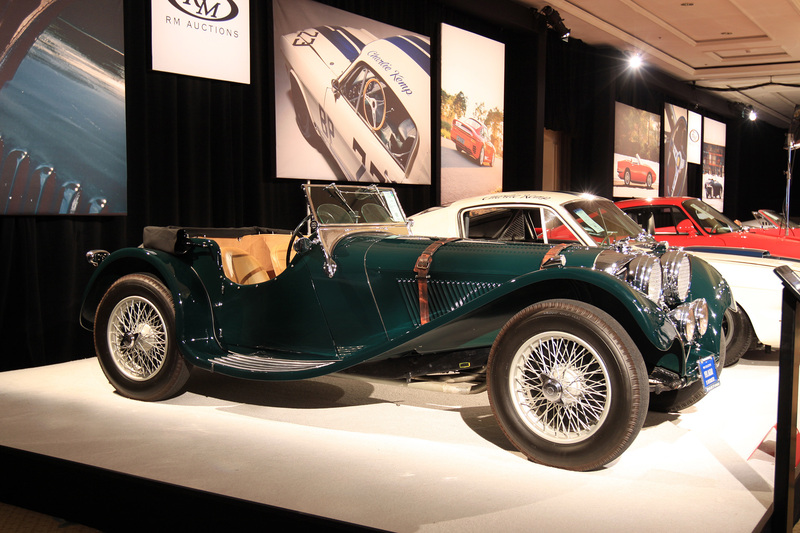 Late collector Malcolm S. Pray Jr. acquired his SS Jaguar 100 in 1998, and amongst its earlier owners was renowned collector of vintage sports cars Bruce McCaw. 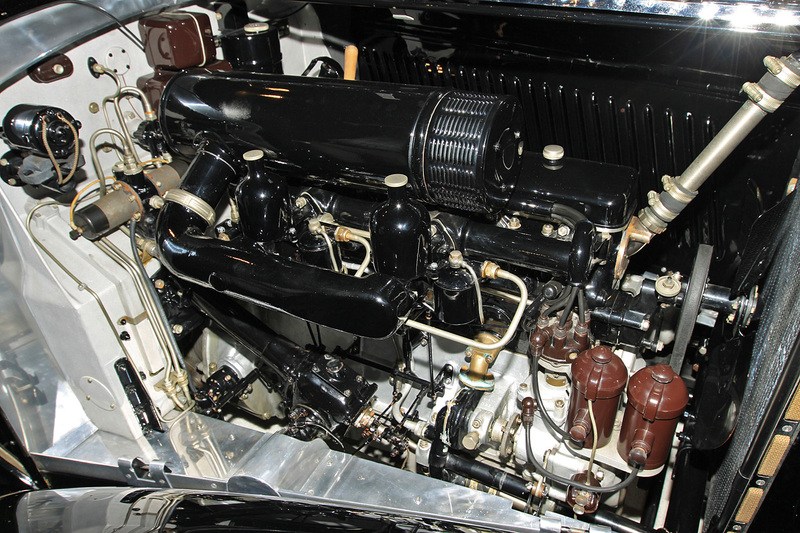 As verified by its Jaguar Heritage Trust Certificate, this example started life as a 3½-liter model, although the present 3½-liter engine was installed at a later date. Importantly, the engine is equipped with a performance-oriented, bronze-coated cylinder head, which was reportedly installed by the factory only on cars intended for competition use. 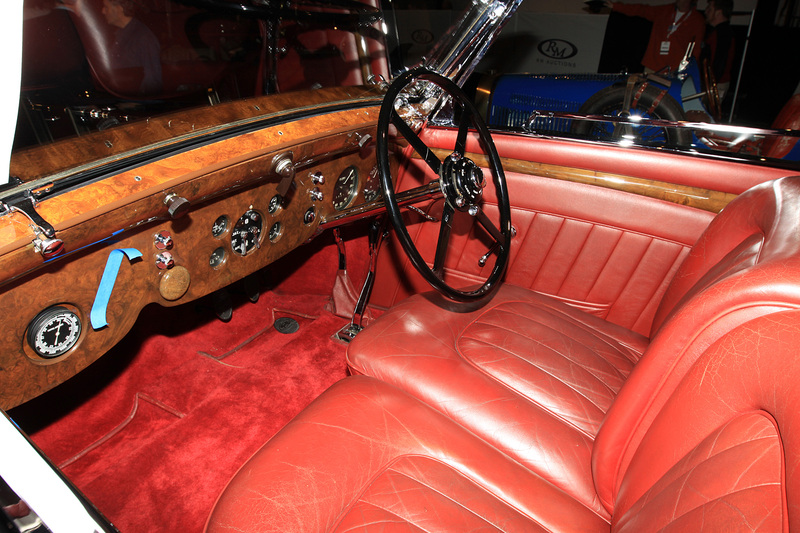 Both the original data tag and body tag are still present on the car; further, it is worth noting that it was originally finished in black with red leather upholstery before being delivered to its first owner, a Mr. J. M. Archer, in Scotland. 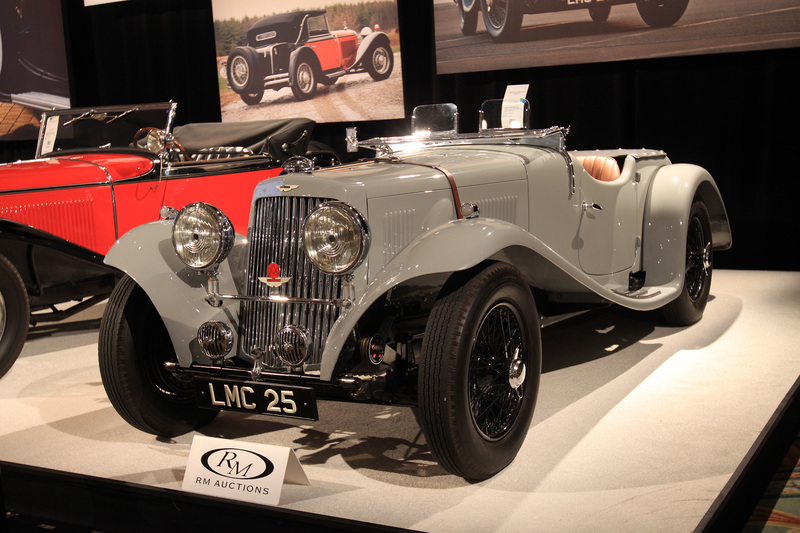 1939 Aston Martin 15/98 Short Chassis Open Sports G9/871/SO – sold for $616,000 by RM Auctions. One of 50 built in this most attractive style. Believed to have been the final 15/98 delivered. International concours participant and award winner. Equally at ease on touring events; very user-friendly. 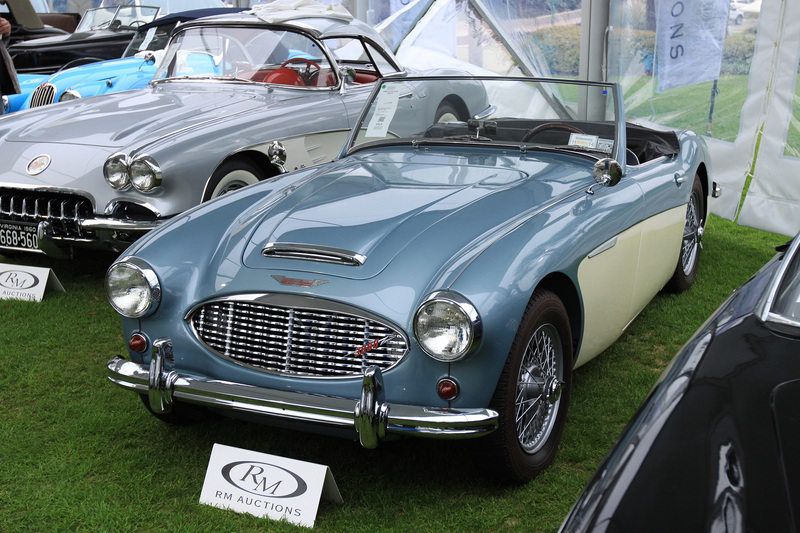 1959 Austin-Healey 3000 Mk I BN7 H-BN7-L/1315 sold for $88,000 by RM Auctions. Rare two-seat model. Matching numbers, in classic Healey Blue and Ivory duotone paint, as original. Frame-off restoration, with 500 miles since. British Motor Industry Heritage Trust Certificate. 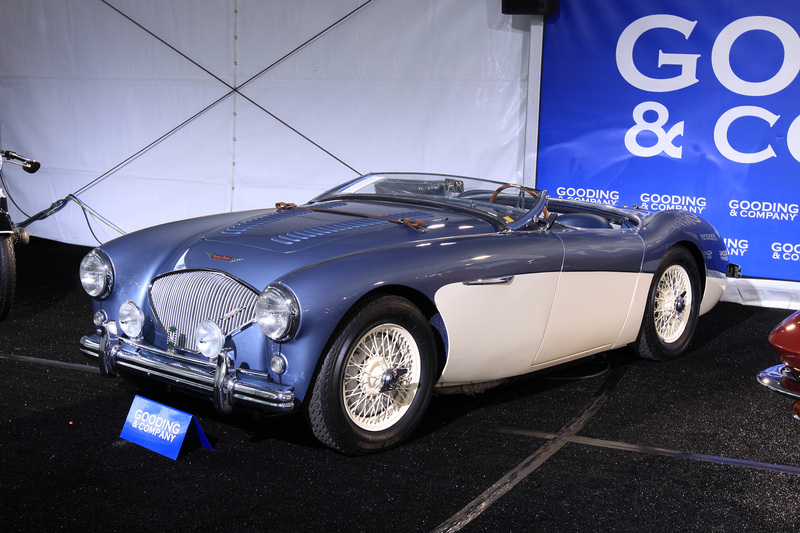 1956 Austin-Healey 100M BN2-L/230787 – sold for $115,500 by Gooding & Company. Mid-1990s Nut-and-Bolt Marque-Expert Restoration. Documented and Confirmed Genuine Factory-Built 100M. Complete with BMHT and 100 M “Le Mans” Registry Certificates. 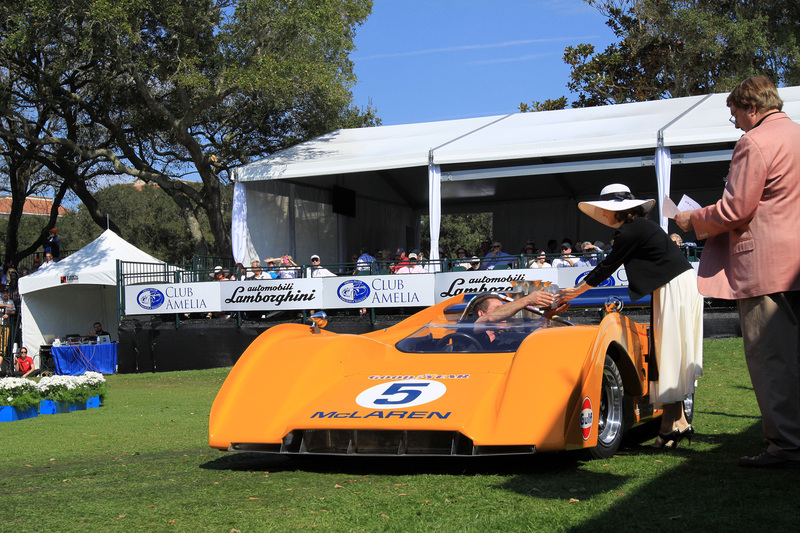 Awarded Best Open Car at the 1998 Amelia Island Concours. One of Just 640 Original Factory-Built 100 Ms. 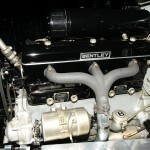 Retaining Its Factory-Original Engine; Highly Correct and Detailed. Strikingly Presented Throughout. Welcome Entry into a Multitude of Desirable Shows and Tours. 1960 Aston Martin DB4/395/R sold for $462,000 by RM Auctions. Single ownership for the last 28 years, and never offered publically for sale. Documented history from new, complete with original build sheet and owners handbook. Recent complete restoration, including fresh paintwork. Features numerous desirable mechanical upgrades. Matching-numbers example. 1953 Allard K3 Roadster K3/3189 – sold for $220,000 by RM Auctions. 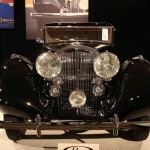 In the mid-1990s, the car was fully restored by RM Auto Restoration. 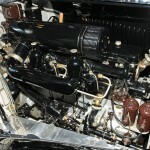 This Allard then passed through the hands of another noted collector, Jim Taylor, of Gloversville, New York, before being purchased by its current owner. It remains in excellent condition to this day, as it has been the subject of a recent mechanical freshening, which included having the carburetors, brake lines, and wheel cylinders rebuilt. 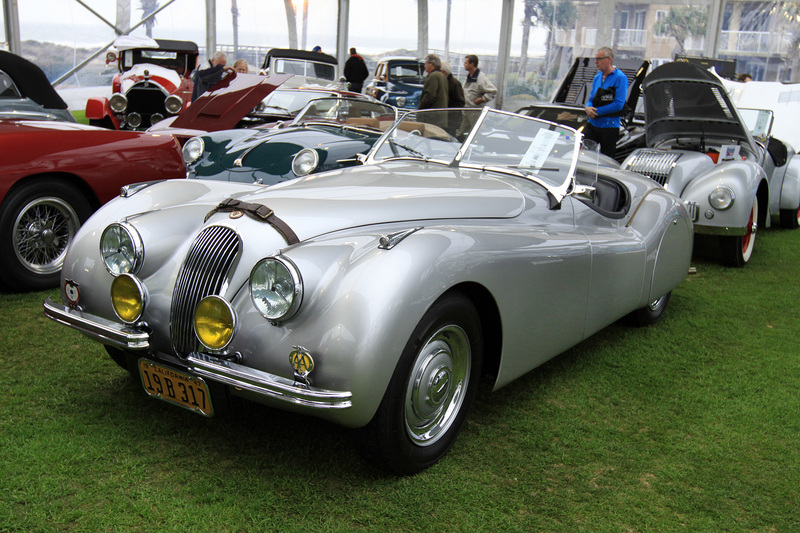 1949 Jaguar XK120 Alloy Roadster 670061 – sold for $495,000 by RM Auctions. Offered from the estate of Charles “Chuck” Swimmer. The most desirable XK120 variant; one of 184 left-hand drive alloys built. Matching numbers. Documented by its Jaguar Daimler Heritage Trust Certificate. A two-time Colorado Grand and California Mille veteran. 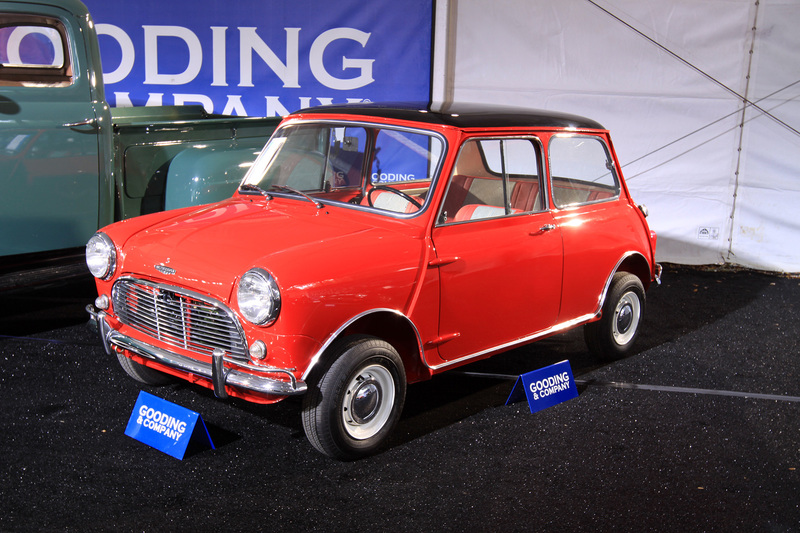 1964 Austin Mini Cooper S CA2S7L487897 – sold for $39,600 by Gooding & Company. 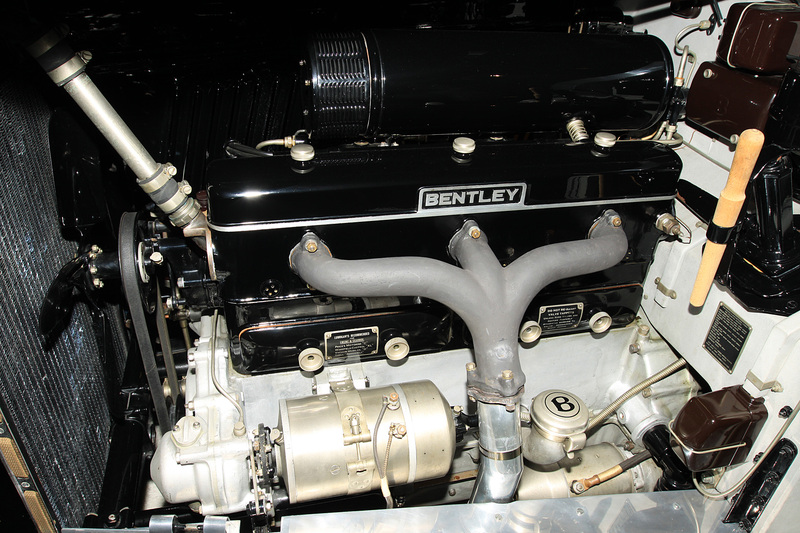 Extremely Rare and Original 1071 Engine. Restored to Factory Specification. Charming Color Combination. Symbol of the Sixties British Culture. 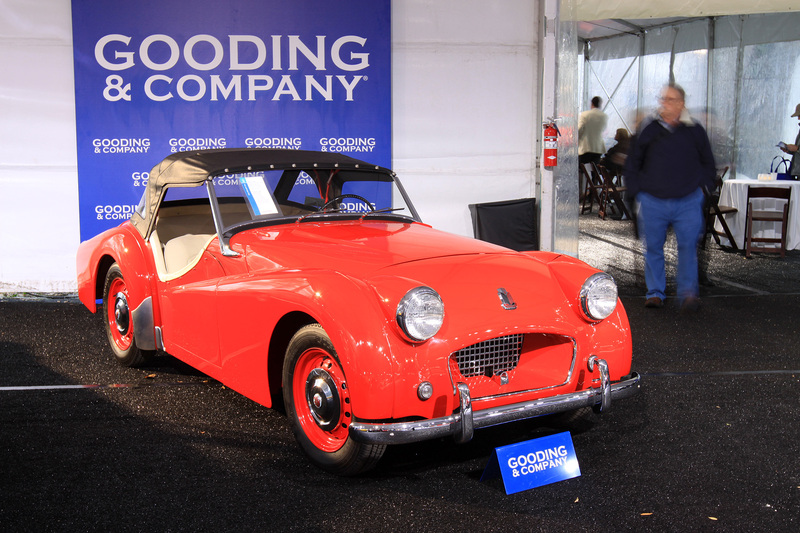 1955 Triumph TR2 TS6825 – sold for $28,600 by Gooding & Company. 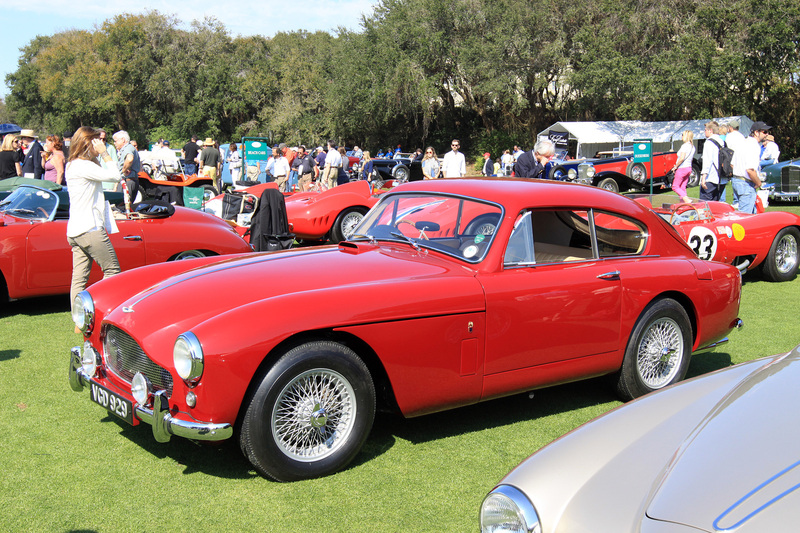 This gorgeous example of a TR2 was one of the last examples made and appears today in its original factory color of red with light leather interior. It is believed that the car lived its entire life in California until its current owner purchased it seven years ago. The Triumph was then painstakingly restored by Boxweed Auto Restoration of Georgia, a reputed atelier with over 45 years of experience in restoring classic cars to show-quality condition. All the bodywork, interior, paint, and mechanical elements underwent restoration that concluded a year ago, and the TR2 has been driven less than 400 miles since it left the shop. Accompanying the sale of the car are its proper side curtains. Having done Amelia Island once before, it was absolute necessity for 2014, rivaling the best from Pebble Beach and around the world. 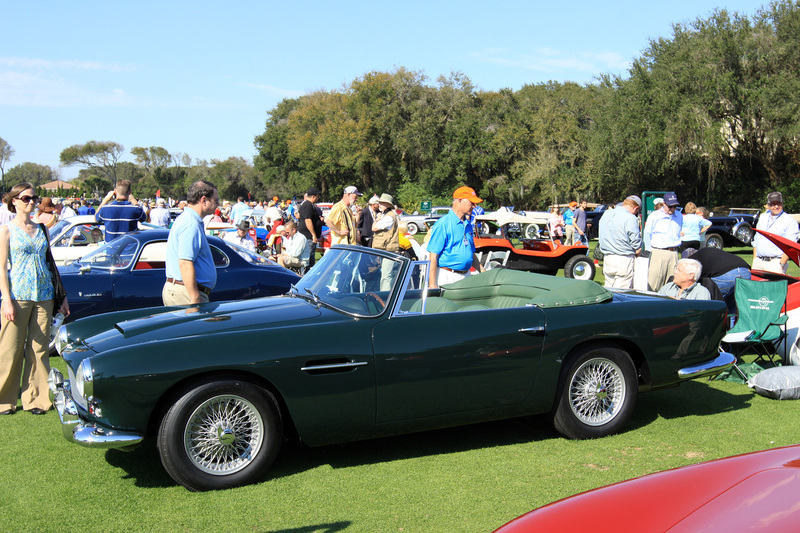 Tom & Nita Fuller from Lakewood Ohio brought out this freshly restored 1963 Aston Martin DB4 Convertible chassis DB4/C/1071/L. 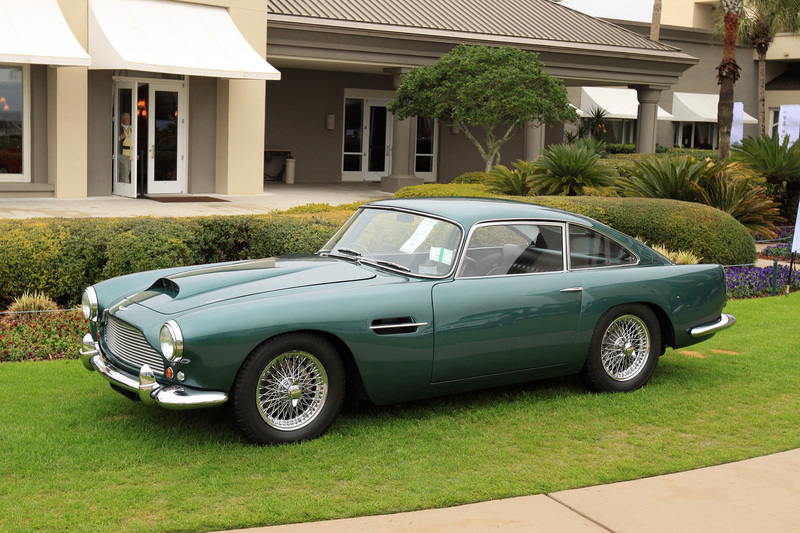 It is one of the few DB4s that came with the Special Series engine making it one of the rarest Aston Martin road cars. Looked lovely restored back to its original color scheme. 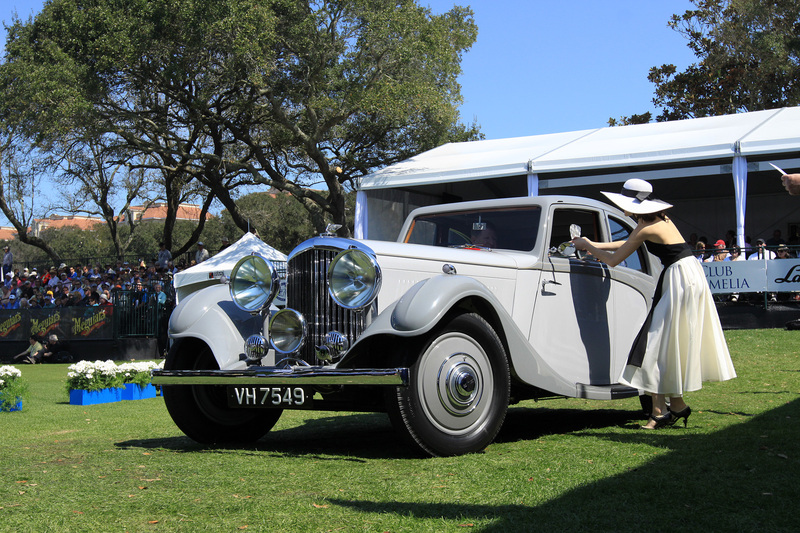 After getting familiar with Gary Porter’s Lagonda 2.6 which lives in Sidney, it was nice to see another one at a major concours. 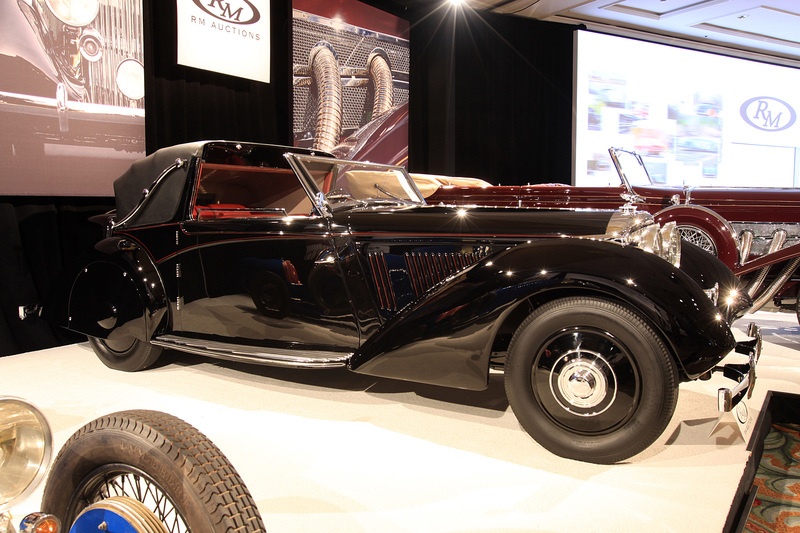 Paul & Nadine Knowlton won a class award for this Drophead Coupe which was fastidiously restored by RTM Restorations with much guidance from Gary Porter! 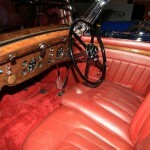 Class SC – Sports Cars (Pre-War – 1949) was completely filled with Britsh Sports Cars. In order is a Frazer Nash, 1936 MG PB, 1936 MG NB Magenette and 1933 Woseley Horney Special. 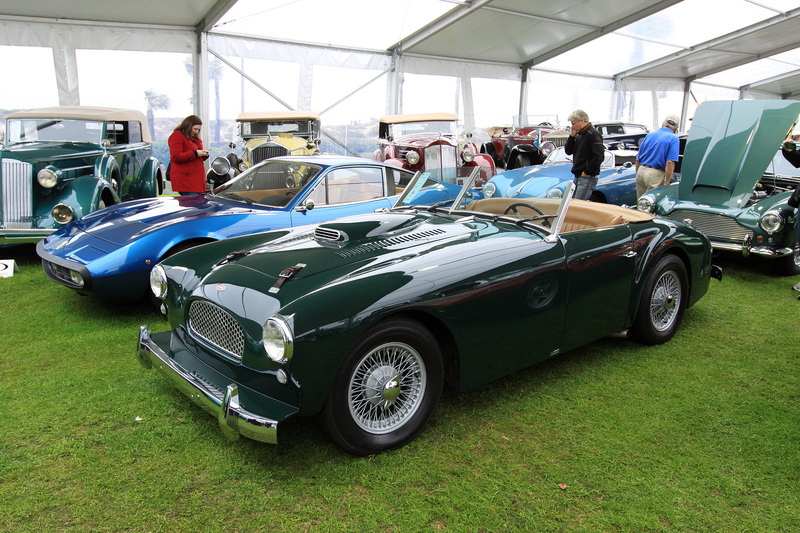 Peter Heydon, who has one of the world’s best collection of Morgans brought out this 1958 Aston Martin DB MarkIII chassis AM300/3/1734. Looks splendid with its matching British plates and RHD config. Andrew W.J. Davidson of Bolton, Ontario, Canada brought along this 1936 Bentley 4¼ Litre J. Gurney Nutting Pillarless Coupé B180JD which was restored by Martin P. Beer of C.M.C. 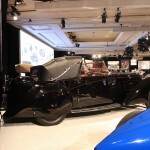 Enterprises who is the Morgan dealer for Canada! 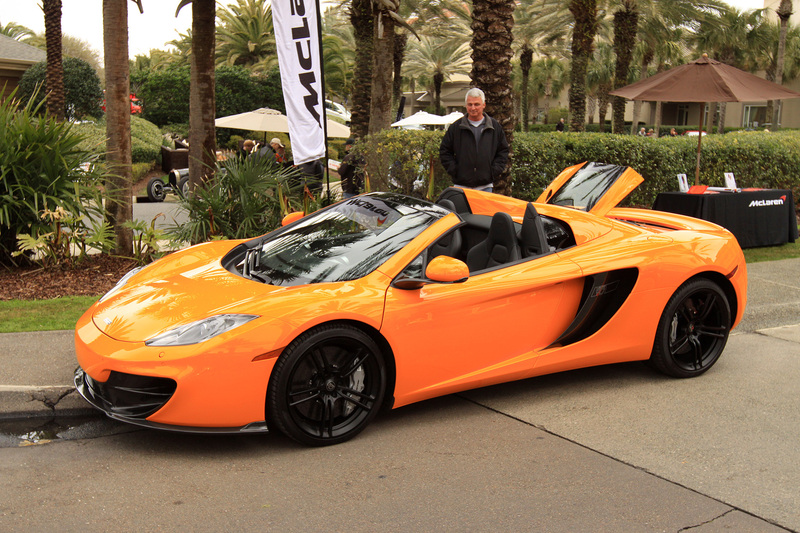 In 2013, McLaren revealed a 50th-anniversary MP4-12C Spider produced in just 50 examples. 600 bhp @ 7000 rpm. Carbon Fiber Monocoque. £215,500! 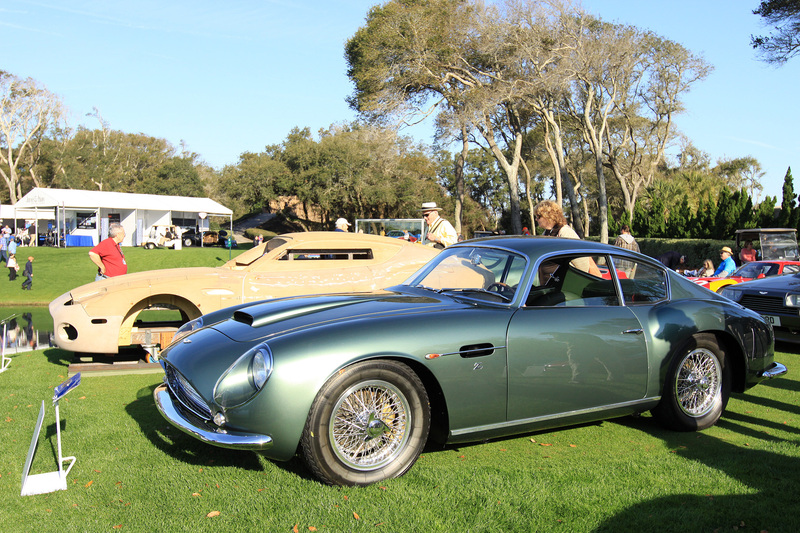 The cars of Zagato were celebrated and included this Aston Martin DB4 with a racing body by Carrozzeria Zagato. Despite hiring out the Italians for a lightweight body, the Aston still could not beat the Ferrari 250 SWB. Beside it is the 2003 Zagato Styling Buck used to make the Aston Martin DB7 Zagato. 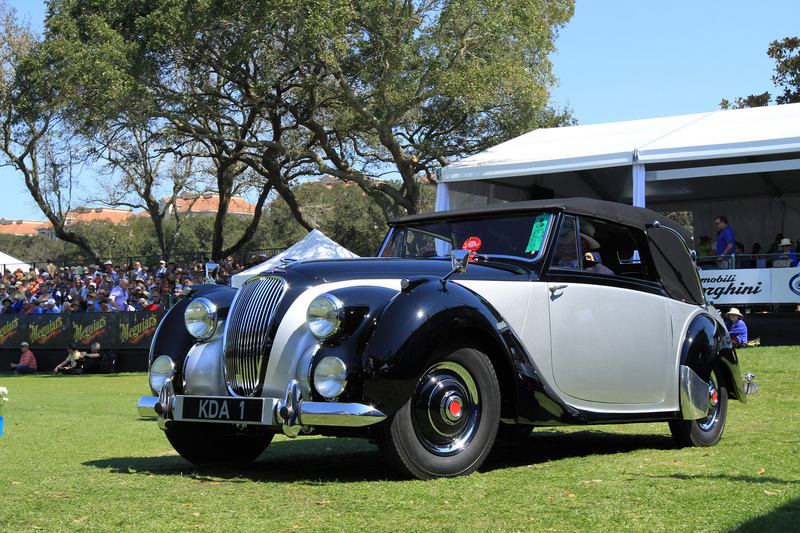 Let’s finish with our good friend Ed Jelinik’s 1947 Jaguar Mk IV with a custom cabriolet body by Worblaufen. Many Swiss cars were completed with their own domestic body builders such as Worblaufen to avoid heavy import taxes. Ed restored this car with original hides from Switzerland and it is unique in many details from the production Mk IV. 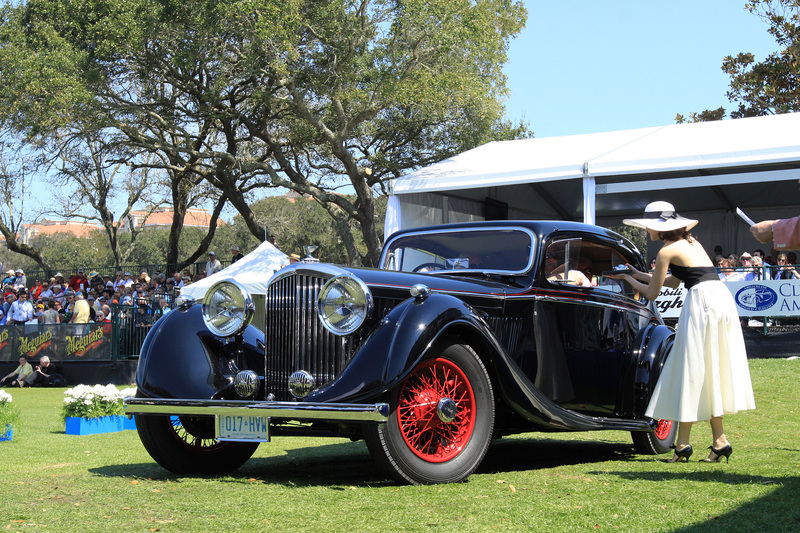 Today we saw the incredible 1934 Bentley 3½ Litre Windovers Sedanca Coupe chassis B111FC which is one of the very best Derby Bentleys in the world at RM Auction’s Amelia Island sale in Florida. Estimate is $300,000 – $400,000 without reserve. 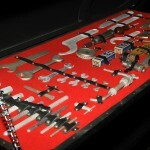 Auction Specialist Alexander Weaver was kind enough to open B111FC up completely exposing an immaculate engine bay and tool tray in the trunk.